Nick Scheele was knighted by Queen Elizabeth for his service to Britain's exports. The Detroit auto industry will get a chance to celebrate the life of a much-admired executive who passed away before many were ready to see him go. 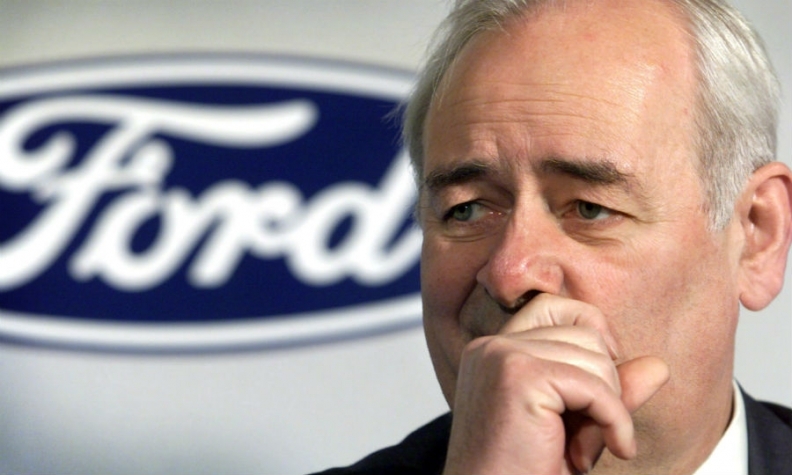 The family of Nick Scheele will host a service to honor his life at 6 p.m. Oct. 27 at the Dearborn Inn in Dearborn, Mich.
Scheele -- who retired from Ford in 2005 after stints as chairman of Ford of Europe, CEO of Jaguar and president and COO of Ford Motor Co. -- died July 18 in his native England at age 70. He died of a massive pulmonary embolism caused by deep vein thrombosis, according to his son Jim Scheele. A funeral service was held July 31 in the Warwickshire, England, village of Wootton Wawen, where Scheele lived. A nondenominational memorial was held Sept. 22 at University of Warwick, where he had been a chancellor. Seldom did anyone mention Scheele without using the adjective “affable.” It even became a joke in his family and industry circles. But in 2001, when Bill Ford, CEO at the time, summoned him to Detroit, Scheele used his affability to bring calm to the company’s reeling North American region following the turbulent Jacques Nasser era. Also that year, Scheele was knighted by Queen Elizabeth for his service to Britain’s exports. For an executive who came up through the rough-and-tumble world of purchasing, the irony of being called “Sir Nick” was not lost on this most down-to-earth, good-humored of men. The Scheele Family welcomes you to join in a reception dedicated to the memory of a dear friend, father, husband -- Nick Scheele. The reception is to be held on Monday, October 27, in the Alexandria Ballroom at the Dearborn Inn. Light food and beverages will be served beginning at 5 p.m. A few words will be spoken by friends and colleagues beginning at 6 p.m. If you intend to participate in this reception, we kindly ask that you RSVP to [email protected] as soon as you are able to do so and that your response indicates the number of people in your party. We ask for this RSVP simply for planning purposes. This reception is open to anyone who wishes to share in remembering the spirit, warmth and generosity of a man who left an impression on all those he met. As we may not have all of the contact information for everyone who may wish to attend, we kindly ask that you share this notification with anyone who may wish to gather and share in Nick’s memory. Note: The Dearborn Inn is located at 20301 Oakwood Blvd., Dearborn, Mich. 48124, Telephone 313-271-2700.